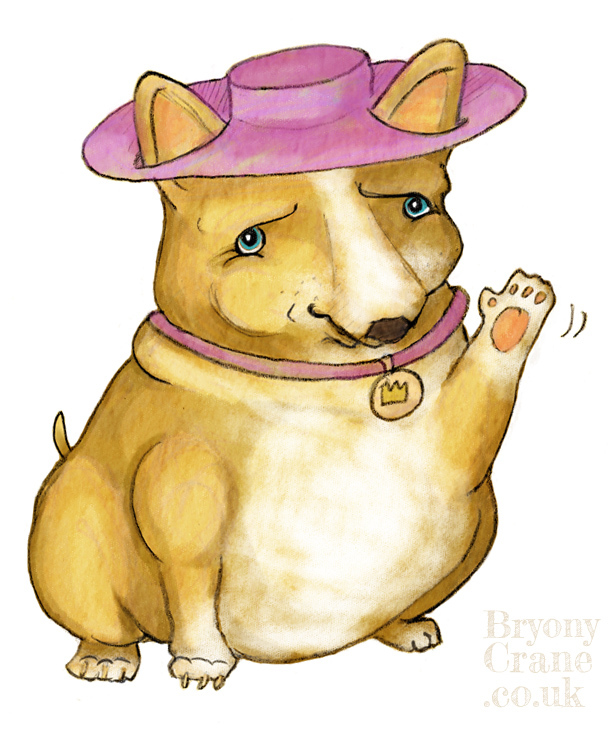 To jump on the Diamond Jubilee bandwagon, here's a quick doodle of a corgi pretending to be the Queen. I hope you all have a lovely extended weekend, and the sun keeps shining for at least a few more days! And congrats on reaching 1,000 followers on Twitter!